The Quest for Extra-solar Worlds will transport viewers from this world to entirely new and foreign ones. 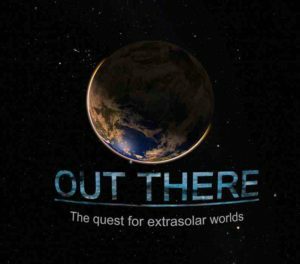 ‘Out There’ features the primitive science fiction of early civilizations, to the future space missions that will observe the Universe in greater-than-ever detail and travel to the surfaces and oceans of moons in our Solar System. A huge diversity of different worlds is out there…just waiting to be discovered.